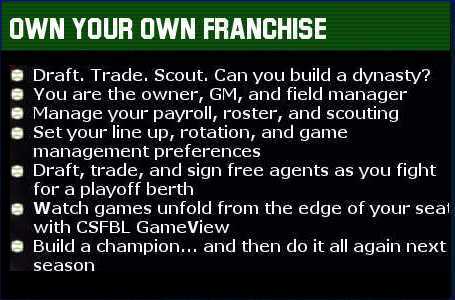 In CSFBL, you are the owner, GM, and manager! Do you have what it takes to build a champion? 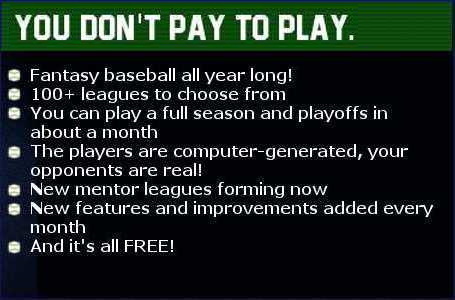 Manage your roster. 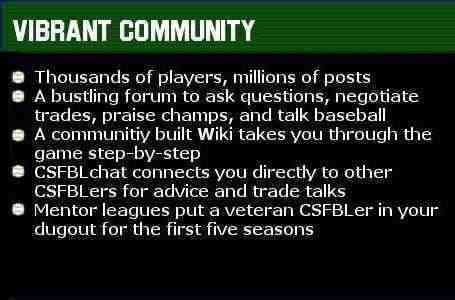 Talk trades on the forums. 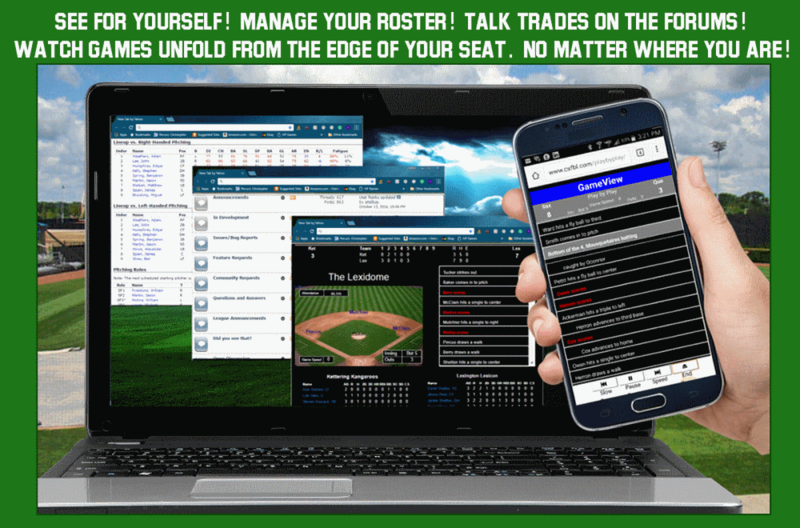 Watch your games unfold from the edge of your seat... No matter where you are!